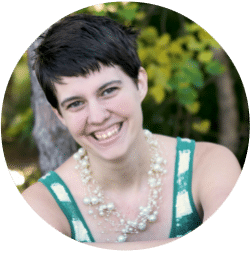 Today’s post is brought to you by Dinah from the Traveling Classroom! These potatoes look so yummy! I can’t wait to try them! Hola! I have a favorite recipe to share with you today. 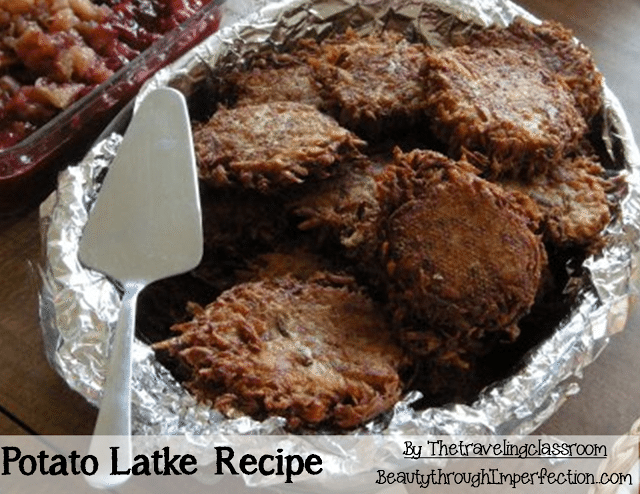 This is a homemade Potato Latke recipe!. The stuff in the box is great. But, really the homemade version is much better & a money saver! 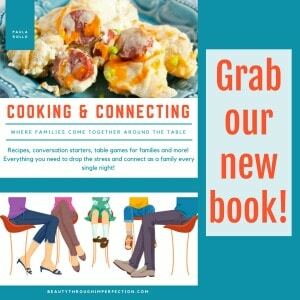 Have fun… & don’t forget to grab your free recipe cards by clicking on any of the pictures! Have you ever had Potato Latkes? 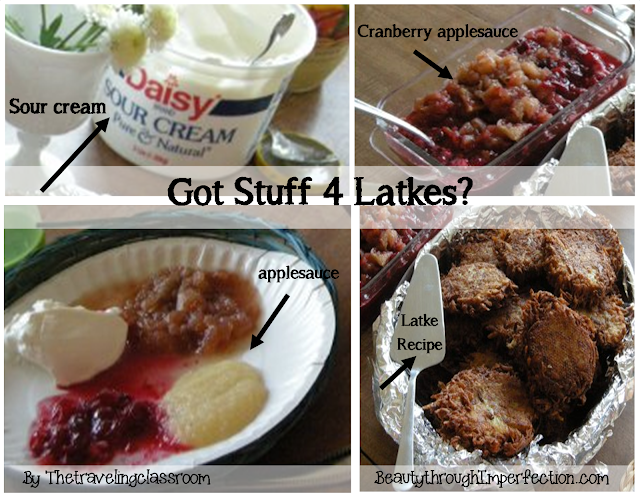 Do you like them with sour cream, applesauce, or cranberry applesauce? After peeling and grating all potatoes allow them to sit in colander to drain excess liquid. Pat dry potatoes with paper towels. Mix potatoes, onions, eggs, pinch of salt & pepper, baking powder, & flour in a bowl. Form potato Latke patties in hand. Place in hot, hot sizzling oil. Fry on each side until golden brown. Allow to cool on paper towels. If you are cooking in batches, cover in foil and keep warm in the oven at low temperature. Serve with your favorite condiments. 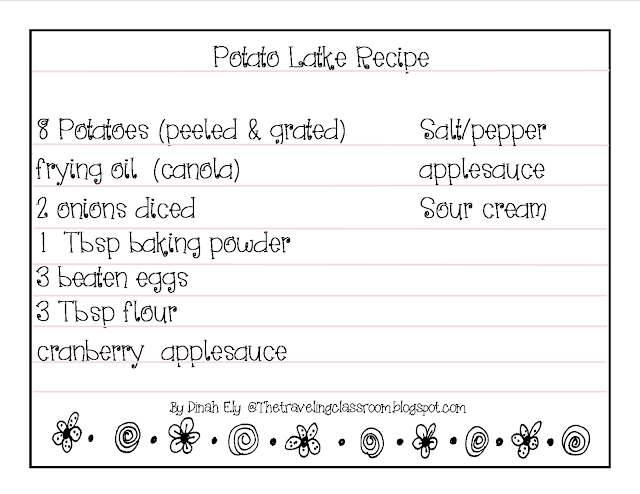 Especially good with applesauce and sour cream! Enjoy! I hope that you and your loved ones have a Happy and Blessed Thanksgiving. 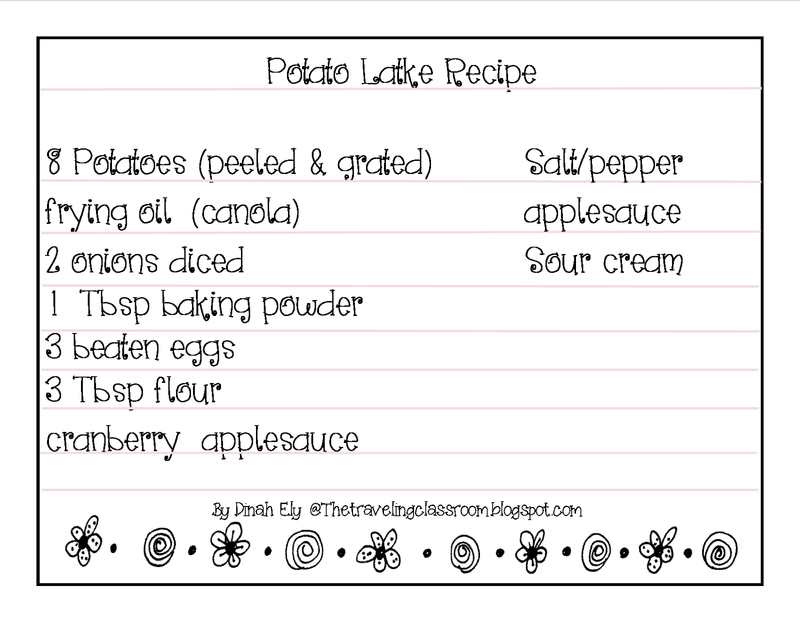 Hey Buddy!, I found this information for you: "Potato Latke Recipe". Here is the website link: https://www.beautythroughimperfection.com/potato-latke/. Thank you.